So glad its Friday! My day has barely begun and I am already craving a dirty martini and sushi. I know you guys know the feeling. I thought I would jump start your weekends by just updating you all on some of my go to moves and fitness inspirations of the moment. I completed another week of my spin classes. Some weeks are easier than others. But teaching every night, three nights in a row is a blessing and a curse. Because I teach on Mondays I tend to dread that class the most. I always take awhile to get into the groove of things however, after my Monday night class I feel the best. I don’t feel as foggy, I feel strong and much calmer. Here is the playlist I used all week. Song of the moment: The Knocks – Kiss the Sky. I do not know why this speaks to me so much but it does. I think I like the fast beat and then how it slows down and then the chorus just makes me want to be on a dance floor on a tropical island. An honorable mention goes out to Kelhani – Did I. This song is literally my girl anthem. Great beat. Good lyrics. It’s all about goin’ out and gettin’ it. Favorite move/exercise of the moment: I have ALWAYS loved planks. I have worked so hard over the years to develop this strength. I love it because of the variations and because it hits so many muscle groups. I currently am loving plans that require your ‘under’ leg if you will to pass through. Here is a picture of one of the moves I have been doing. It is so hard to do but I love how deep the soreness goes. My love handles and low back are a popular spot for me to put on weight and I just love the effect of these. I also enjoy lifting one leg (the top leg if I am in a side plank or just one leg at a time if I have both hands on the floor). If you go on to Pinterest there is an overwhelming amount of information on there and great for inspiration. My favorite yoga pose of the moment: Hands down this would be Bow pose. It is so beautiful. I work on this one to open up my chest and promote good posture. Having a large chest I really gravitate towards posture perfecting poses that help open up the chest cavity and create space. I also recently read an article in an old Yoga Journal about how having a flexible spine is so important. When I taught my first barre class last weekend we did Bow pose. We did three rounds of and held the pose for about 10 seconds each. For a lot of the people this was a new sensation…they knew they were working hard and strengthening but it was also a great stretch. The dichotomy of the work vs. stretch opens people’s eyes to yoga. I had a student say “That class was so different. It was nice to not do the same moves all the time”. That was because we did a great strength and stretch routine without weights (we did weights earlier on and finished with yoga strength). So at the end of class you knew you worked hard and felt like you exerted yourself but also felt open and lengthened. That is a very important thing for me in my daily practice and I was glad it manifested in the class. Favorite healthy snack: OMG I have been going cookoo over sweet potatoes lately. I didn’t go grocery shopping this week I know, I know but had about three sweet potatoes and as long as I have an option for a decent carb for dinner I am good. So I have been heating one of these bad boys up every night in the microwave for about 5 minutes and then I go to town with the seasonings. I sprinkle on some cayenne pepper, garlic pepper, onion powder, then pour distilled vinegar on top (this is a true Rhode Island thing) with some ketchup. HEAVEN. That is it everyone! Thank you all for reading! I have a wishlist. I need to share it. There are a lot of things out there right now that are calling my name and I think I need to share them with all of you not because this is a safe place to communicate wants and desires but because I need some feedback. NOW, I recently received samples of the Blue Moon Tranquility Cleansing Balm and I am obsessed. I used it once and I just know it is my favorite cleansing balm of all time. That is high up on the priorities of my wishlist. It smells like Lipsmacker and is so hydrating. The other thing I have tried is the Laura Mercier Candeglow Soft Luminous Foundation…I had a really hard time finding my color match. In Sephora I picked up Ecru which seemed to work for my paler winter skin however online it said that it was for light skins with cool undertones? HUH? I am a little bit cool but I have quite olivey skin. Has anyone tried this? I loved the formulation but am wondering if I could go a shade or two darker…I am a little afraid of my local Sephora lady so I have confided in you all. Jaclyn Hill recently discussed this new Becca foundation. I feel like it is literally the foundation form of the Backlight primer. This looks like it will give a really dewy finish and help glow everything up. I am highly interested in this and would probably purchase this over the LM if it is better. I want both but know that life does not work that way, or does it? Moving on with this Makeup For Ever Ultra HD concealer. NOW, since I turned 25 I swear I all of a sudden see these fine lines under my eyes and my skin is just crap right now. I look ruddy, feel ruddy and flat. I currently have an outbreak of milia on the tops of my cheekbones that look GOD AWFUL when I have highlighter on. I know these are first world problems here but WHAT-EVER. Every time I use my under eye concealer my circles look more pronounced. I know this can be because my concealer is too light…so I am sort of looking into this MUFE one. They have this concealer in correcting shades and concealing shades and I am most interested in the correcting ones. This is $27 vs. the Bobbi Brown Correctors which are $40. Does anyone have both and have an opinion? I use a super hydrating eye cream and think I just need a better concealer…any thoughts or insight would be helpful. 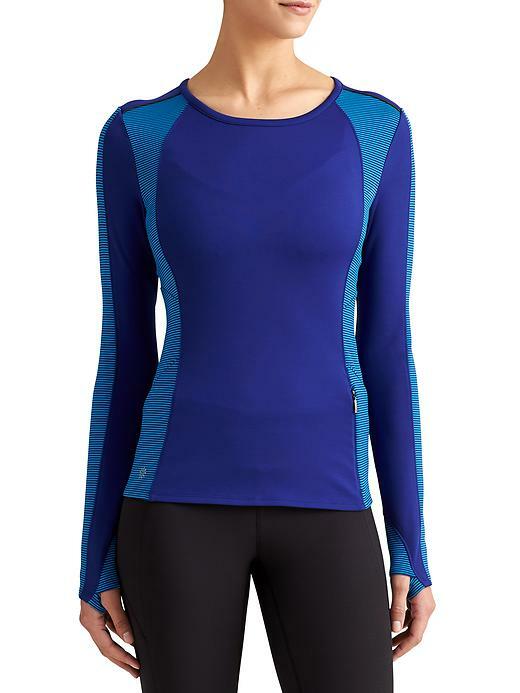 Lastly – LuLuLemon sports tops. I will preface this that my cannons are a humble size of 32F. Yes. You best believe when I work out I go all in with back and shoulder exercises to keep my posture looking like Lisa Kudrow from Romy and Michele’s High School Reunion (come on the magnet scene is so hilarious but oh so mean). So, my question is – do you girls find that these tops are supportive? I do have other LuLu tops that have a built in bra but I always wear another sorts bra under them. Do you think that if I wore another sports bra under this it would just become a bulge-y, back fat issue? HELP! I’m desperate for something hip and airy. I am leaning more towards the one on the left because I think there could be more natural support…however, I think my additional sports bra on the right could look less out of place. Just to preface this for you all – I am 5ft tall, I weight 13o lbs and I wear a size 4 in the tops and the pants. Today is just so painful. 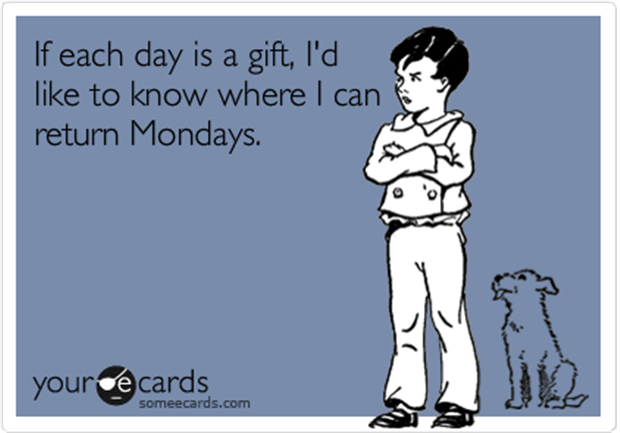 I have been noticing that Mondays are worse for me when my weekend was less than eventful. Yesterday’s weather was just so ANNOYING. It was 60 degrees and it poured all day long. I opened the windows to my apartment and it was so humid and uncomfortable. I was also really looking forward to the Golden Globes last night but was SOOOOO bored….The whole event is like one big inside joke that no one understands if you aren’t famous. I watched the first half hour and then just decided to call it a night. I will say I did enjoy seeing a lot of women winners. GIRL POWA. Side note: what the hell was J. Lo wearing? Anyways – I just hope this week comes and goes. I miss my family and my boyfriend. Wah. Here are few pics. Sorry for the lame Monday post but ya know what? THAT’S LIFE. It ain’t always awesome but I am thankful that I am in good health, have a nice roof over my head and have a great family. When I studied abroad in Barcelona these were my weakness. Barcelona in the South End has just the best vibe and the best food. The only productive thing I did yesterday was head out to the gym. It was sticky walk home. On Friday night, my mom and stepdad came up to Boston and I met them out at the Salty Pig right next to Back Bay. My roomie met us there after work. If you love cured meats and awesome pizza- this is your joint. My current favorite eyeshadow combo. African Violet by Laura Mercier and Satin Taupe by MAC. Satin Taupe looks nothing like how it does in the pan… its quite purpely/taupey… nothing like below! That’s why it is so amazing. I recently found this awesome instagram account called “alwaysssleep” and its just pictures of beds from wherever. This new bed set was a Chrismtas present from my mom and its just so cozy. I apologize for being slightly MIA this week. I really hit the ground running…I taught spin A LOT and have just been dead! My cold (really just my cough) has been driving me insane. Mucinex is a godsend but kind of is not great for my tummy. 😦 Hopefully you all can forgive me. So now that January 2016 is in full swing I know that our group exercise classes are probably overflowing and your usual treadmill has been occupied all week by some newbie who just texts the whole time and is walking at a semi-glacial place. I do have a few tips and tricks to work around this small issue! TIP #1: Try going at a different time. SHAKE THINGS UP. I know this sounds crazy…us gym people are creatures of habit! Why should we have to go at a different time in order to work around the Resolutioners? Sometimes its good to try a different time. Who knows – you might actually like it. Perhaps a small change could be made. If you normally hit the gym at 5:45PM…maybe head there an hour later. You can maybe catch up on some work or go home and clean those damn dishes AND then burn those calories. This week I opted for an AM session vs. a PM workout. It was great because after work I just went home to relax. Of course it was a total BIATCH to get up but after breaking a sweat I didn’t want to stop. TIP #2: So what if that new person took your spot or your bike. GROW UP. Seriously. We are not children. I remember at the first gym I ever taught at the women that were in their 40’s – 50’s were BRUTAL about their bikes. Hey – you snooze, you lose. Bikes (at the gyms I have taught at anyways) are first come, first served. If your name (or towel, water bottle) ain’t on it…IT AIN’T YOURS. I think we need to remember that we are not children and it is good to move around the room – get a new perspective. The ride is about you…I get it…every bike is different so your settings may vary, but who knows maybe you will sit next to a super motivational person or maybe the music is a bit louder so you feel like you’re one with the beat. Ok. You get to the gym and all of a sudden you sense there are WAY more people there than when you walked in and started your work out. People are starting to have loud conversations, the mirrors are fogging up – you feel distracted but you still have 20 minutes left on the elliptical…ahhh what do you do? Start some intervals. Crank up the resistance or the speed. Bring that heart rate up and push, push, push and then give yourself double the time for rest. You can do whatever time intervals work for you. I am personally a huge fan of 30 seconds on and 60 seconds off. You’ll burn more calories, possibly have a cardiovascular breakthrough, get that metabolism revved and you’ll be out the door. It is important during these times to find the positive and obviously to make things work for you! 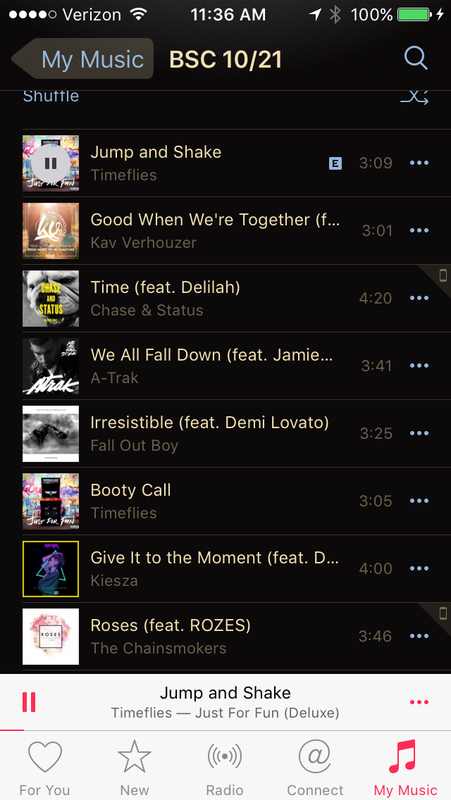 For those of you that enjoy indoor cycling classes, I just have to boast about my playlist from this week. When you teach there are times when making a playlist takes about five minutes and other times when it takes what feels like forever. Once I start thinking about it too much, I lose my mojo. 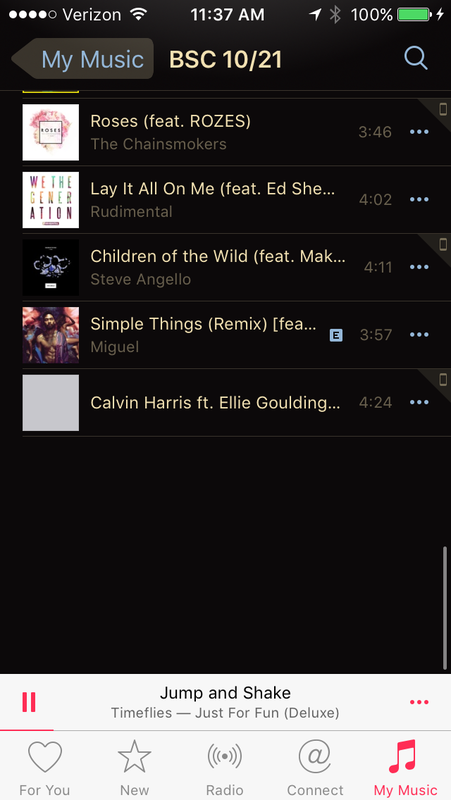 This week there were some new releases on iTunes that made my playlist making a cinch. This week we climbed at the beginning for quite a bit and then took it down, added in some speed, jumps, MORE speed, medium hills and then ended with SPEED AGAIN to top it off. LunchMoney Lewis – Ain’t Too Cool ~ This is the Uptown Funk of 2015. Warmup. The Weeknd – In the Night ~ I am so glad this is his new single. It is the best song on the album. Very MJ. Jumps during the chorus on a 7. add resistance after every chorus. Christina Aguilera and CeeLo – Make the World Move ~ WOOOOOOHOOOOOO. I thought with all the negative things going on right now I needed an uplifting song. Three sprints, 25 each. It’s Friyay! I hope all of you have something great planned but also make time for rest and relaxation. I thought for this Friday, I would include some of my favorite fitness-y things of the moment! ENJOY! Major Lazer (f. MOTi, Ty Dolla $ign, Wizkid & Kranium) – Boom ~ I have been using this in my spin classes for jumps while adding resistance as we go. This song along with the rest of his new album is quite good. I like the slight Latin vibe mixed with house undertones. Chris Brown – Fine By Me ~ This one is sort of a different sound from Breezy but I love it. He just keeps getting better and better. Who would have thought he would have stuck around this long? But then again ‘Run It’ was such a high school jam and always will be. Since I have been trying to A) lose a little bit of weight and B) save some money during this holiday season I have been trying to curtail my snacking but also make it as healthy as possible. The other day before spin I needed something with some good protein and fat so I made a mix of blueberries, roasted cashews and a handful of semi-sweet morsels. GENIUS. Trail Mix on a budget. Wipes are essential for us girls on the go, whether you need them for the commute home or dinner with friends post sweat sesh. 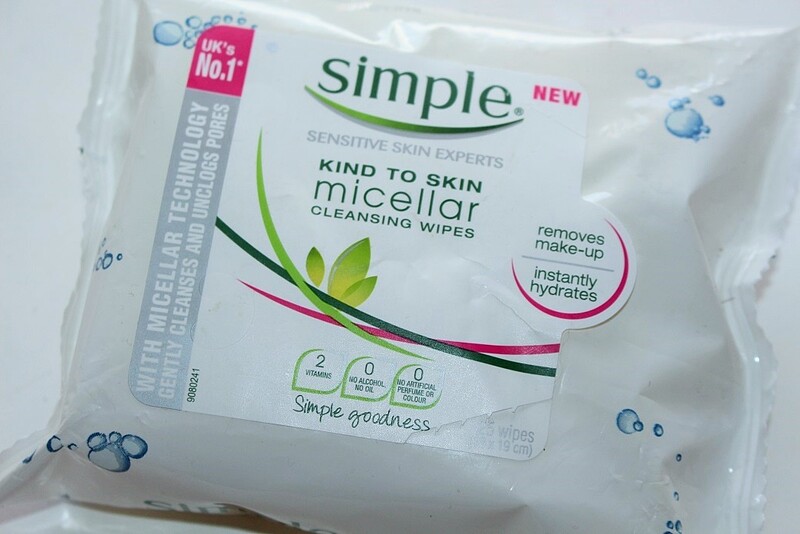 Simple’s Micellar Wipes are lifesavers. Wipes can be very irritating but these are hydrating and gentle. If you are almost out of your current, crinkly package – pick up these bad boys. I sometimes use these after a night of one-too-many and am too lazy. I hope you guys enjoyed these little tid bits! Love to share!